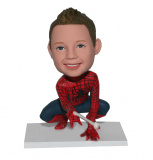 Personalized bobbleheads from photo . 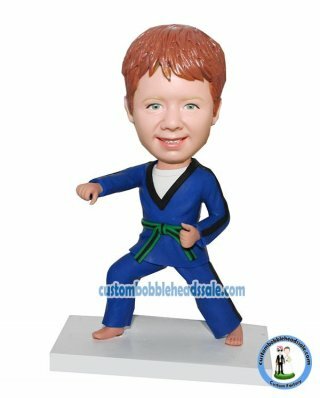 Dressed in karate gi, this custom sport bobblehead is making a karate chop with a fist pulled close to his waist and punching his right hand. If you want to change the color of the clothes, please leave the message,we can do this for your for free.